This Sodium Bentonite Clay is formed from volcanic ash that has been trapped for eons in sea beds in Australia. The clay is harvested, dried, milled and packaged with no chemicals used. Compliant to Food Standards Australia & NZ. It is not tested on animals, is suitable for vegans, and is allergen free. No added colourings, fragrances or flow agents. 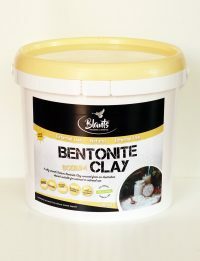 Bentonite Clay, also known as Montmorillonite, is known to have an abundance of minerals, including calcium, magnesium, silica, sodium, copper, iron and potassium. 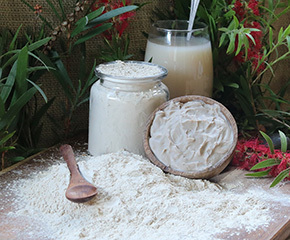 Researchers report that several traditional cultures living in regions of the Andes, Central Africa, and here in Australia have used Bentonite Clay for centuries. Many animals will instinctively turn to eating dirt and clay to help remove poisons from their systems, or during times of illness or distress. 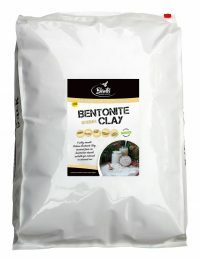 Bentonite Clay is negatively charged attracting and binding toxins. It swells like a highly porous sponge when mixed with water. Toxins are drawn into the sponge through electrical attraction, and once there, they are bound. Free radicals are the other culprit when it comes to skin damage. Free radicals can damage the skin by trying to grab an extra electron from atoms in the skin. When atoms are taken away from molecules in the skin, it causes damage to our skin’s DNA that can speed along skin aging. This is called the “free radical theory of aging”. Can we somehow intervene and halt the cascade of free radicals? 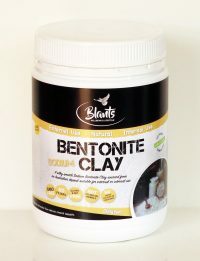 Enter Bentonite Clay! Bentonite is negatively charged, and so provides the electrons the free radicals seek for stability. Free radicals no longer roam free causing molecular and cellular damage. Add 1-4 cups in a warm bath and soak for 20 minutes. You can either sprinkle the clay on the water and mix as you go, or pre-mix in a bowl and add this thick liquid to your bath. Even more fun – apply it as a paste all over your body and let it dissolve off you in the tub! Use ½ cup of clay in a foot soak. Clay is wonderful as a face mask. Make a paste with one part bentonite to two parts water, and apply to your skin. After 15-20 minutes, rinse it off with warm water. You can use this a clay pack anywhere on your body. Clay is a wonderful, natural and safe alternative to talc and baby powder. Use clay as a tooth cleaning powder, or make your own toothpaste. You can also mix it with water and use it as mouthwash that will bind the toxins and bacteria from your teeth, gums and tongue. – With any of these methods, do not use metal utensils or storage as this could reduce its potency. – It is best to sprinkle the clay onto liquid, rather than pour liquid onto clay. It will hydrate more evenly. 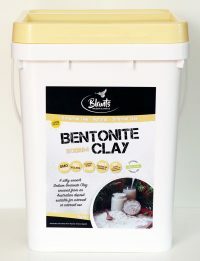 Bentonite Clay online in NZ in 800g, 4kg, 9kg, 20kg. For wholesale and bulk clay, please contact us. Please note: The information provided with this product is for information and educational purposes only. It is not a claim for a cure, treatment or prevention of any disease or condition. It is advisable to consult with a professional health care provider for your personal health needs.